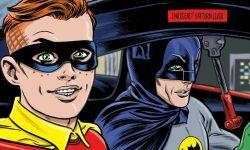 Home News Archive by category "Solicits"
Check out the gallery below to see the new Archie Comics digests, comics, and graphic novels arriving in comic book stores in July 2019. 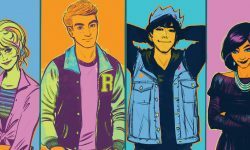 To pre-order these comics, contact your local comic book shop by using the Comic Shop Locator or online at the Archie Comics Shop. 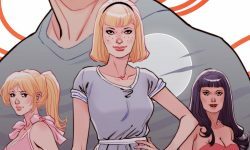 Check out the gallery below to see the new Archie Comics digests, comics, and graphic novels arriving in comic book stores in June / July 2019. To pre-order these comics, contact your local comic book shop by using the Comic Shop Locator or online at the Archie Comics Shop. 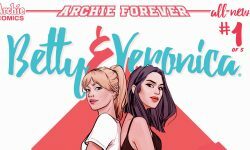 Check out the gallery below to see the new Archie Comics digests, comics, and graphic novels arriving in comic book stores in May 2019. To pre-order these comics, contact your local comic book shop by using the Comic Shop Locator or online at the Archie Comics Shop. 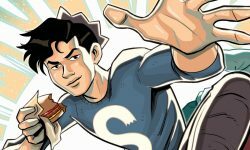 Check out the gallery below to see the new Archie Comics digests, comics, and graphic novels arriving in comic book stores in March 2019. To pre-order these comics, contact your local comic book shop by using the Comic Shop Locator or online at the Archie Comics Shop. 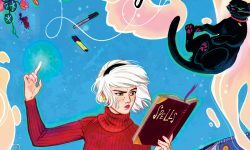 Check out the gallery below to see the new Archie Comics digests, comics, and graphic novels arriving in comic book stores in February 2019. To pre-order these comics, contact your local comic book shop by using the Comic Shop Locator or online at the Archie Comics Shop. 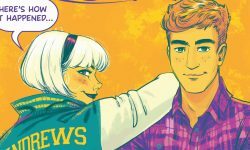 Check out the gallery below to see the new Archie Comics digests, comics, and graphic novels arriving in comic book stores in January 2019. To pre-order these comics, contact your local comic book shop by using the Comic Shop Locator or online at the Archie Comics Shop. 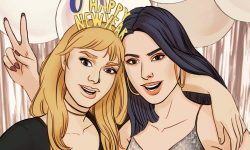 Check out the gallery below to see the new Archie Comics digests, comics, and graphic novels arriving in comic book stores in December 2018 and early January 2019. To pre-order these comics, contact your local comic book shop by using the Comic Shop Locator or online at the Archie Comics Shop. Check out the gallery below to see the new Archie Comics digests, comics, and graphic novels arriving in comic book stores in November 2018. To pre-order these comics, contact your local comic book shop by using the Comic Shop Locator or online at the Archie Comics Shop. 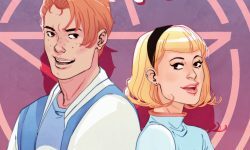 Get a sneak peek at the Archie Comics solicitations for October 2018! 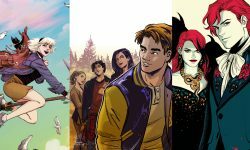 Check out the gallery below to see the new Archie Comics digests, comics, and graphic novels arriving in comic book stores in October 2018. To pre-order these comics, contact your local comic book shop by using the Comic Shop Locator or online at the Archie Comics Shop.